Chan has starred in and produced dozens of films, dazzling with his stunts and martial arts. 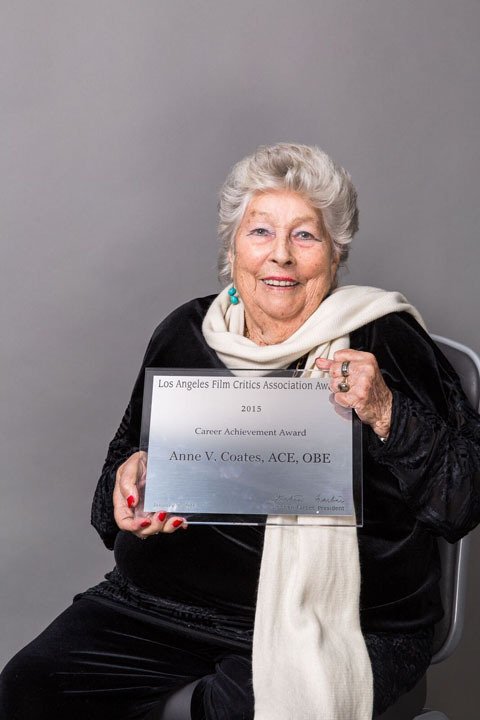 Coates won an Academy Award for her editing work on Lawrence of Arabia. She received four other Oscar nominations during her career, working with such directors as Sidney Lumet, Richard Attenborough, and Steven Soderbergh. Stalmaster has been casting since the mid-1950s. His credits include I Want to Live!, Judgement at Nuremberg, The Fortune Cookie, In the Heat of the Night, The Graduate, Deliverance, Fiddler on the Roof, Harold and Maude, Silver Streak, Superman, Being There, and Tootsie. Wiseman started making documentaries in 1967. His most recent was last year’s In Jackson Heights, about a community in Queens, New York, considered one of the most culturally diverse in the United States. Honorary Oscars recognize lifetime achievement and exceptional contributions to film. The eighth annual Governors Awards will be presented at a private dinner ceremony on November. 12th at the Hollywood & Highland Center. While the event is generally not televised, clips may be included in the 2017 Academy Awards telecast on February. 26th. This entry was posted on Thursday, September 1st, 2016 at 11:12 am	and is filed under Blog by Manny Pacheco. You can follow any comments to this post through the RSS 2.0 feed. Responses are currently closed, but you can trackback from your own site.